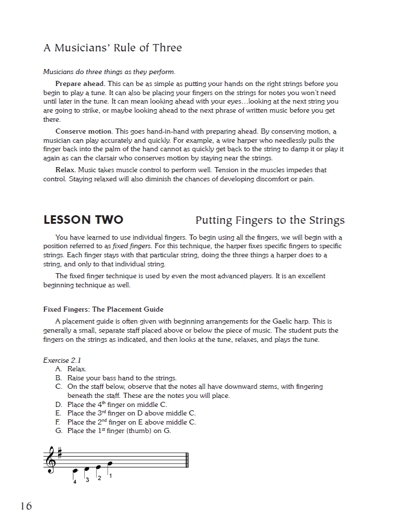 Pathway is a tutorial for people new to the study of the wire strung harp. 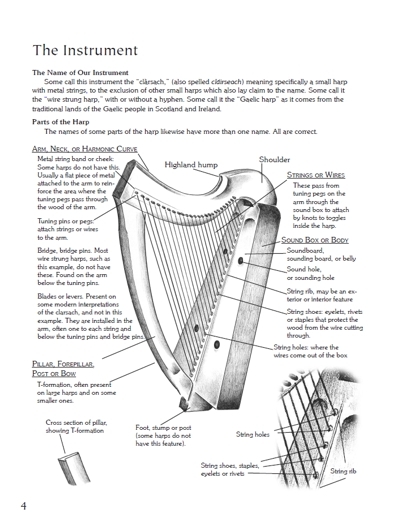 Starting with descriptions of the instrument, the student is led on a journey into the basic damping and ringing techniques of the clarsach, the wire strung harp of Ireland and the Highlands and Islands of Scotland in 21 lessons. The book is complimented by a 39 track recording which includes tuning tracks and all the tunes in the book with the Gaelic titles pronounced. Pathway is a tutorial for the wire strung harp. The book is complimented by a 39 track recording which includes tuning tracks and all the tunes in the book, with Gaelic titles spoken by Liam O'Caiside. The book can be used either alone or with a music teacher. The twenty one lessons each begin with a discussion of a new concept and exercises for practice. Every lesson ends with a practice task for the student, to aid in learning the concept presented. There is also a summary at the end of each lesson, so the student can be assured he or she has mastered the new concept before moving on to the next lesson. The 34 tunes are evenly distributed among the lessons. There are also discussions about making music, such as advice on practicing and memorization, dynamics and phrasing. 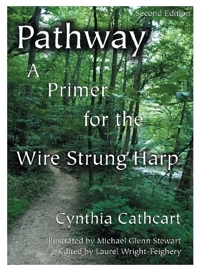 There are other extremely good books on the wire-strung harp, but Cynthia Cathcart's new primer Pathway is so clear, well-illustrated, and comprehensive that it may well become a standard. Pathway is designed to take newcomers to the wire-strung harp and ground them in necessary techniques in a methodical way, often using primary (i.e. traditional) sources for tunes. This is probably not a book for someone looking for instant gratification. It's very methodical and focuses on mastering techniques in a step by step fashion. While this is important for anyone playing the harp, it's especially crucial for those playing wire-strung. The book is arranged in lessons. Just like a lesson with a teacher in person, there is an introduction, an overview of the goal of the lesson, new techniques, musical concepts, then pertinent exercises. 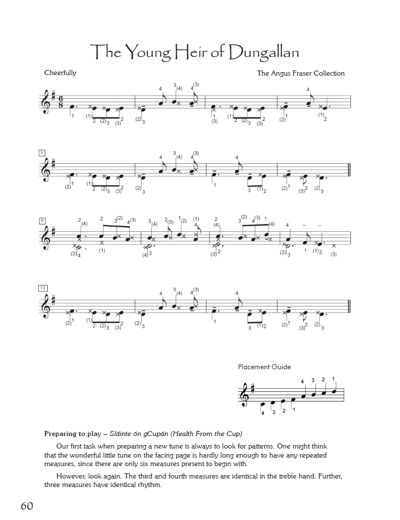 Each tune is preceded by a section called "preparing to play", which points out what to be looking for, and also contains background information on the tune (these are terrific reading!). After the tune, just like a teacher assigning homework, there are suggestions for things to do on your own, and a review of what's been covered. For a motivated learner, all the tools are here to gain proficiency. A special commendation for the drawings by Michael Glenn Stewart. In a book like this, the illustrations can either help or frustrate the reader. These are simply great, especially the "harper's-eye-view" ones. The book is also superbly augmented by a companion CD. Finally, I must add that although it's intended for wire harp students, Cynthia's scholarship and 'mini-essays' on topics like relaxation, interpretation, practicing, and goal setting make Pathway recommended reading for any harp player.